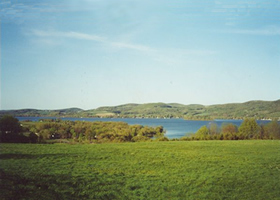 This property lies atop Wing Hill Road, a large hill overlooking Canadarago Lake in Richfield Springs, NY. 15.63 acres of land provides much opportunity for development. The property could also be sold as subdivided parcels. The parcels range from 2.28 acres to 5.04 acres. Each parcel is available for sale at $50,000.